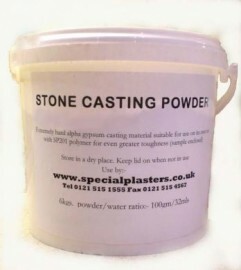 Top of the range Model Stone, ( "stone" refers to harness not its apearance), this is a very hard "alpha"* (*see FAQ's) plaster in a handy 6kg tub. Ideal for pattern and model making, chess pieces etc. 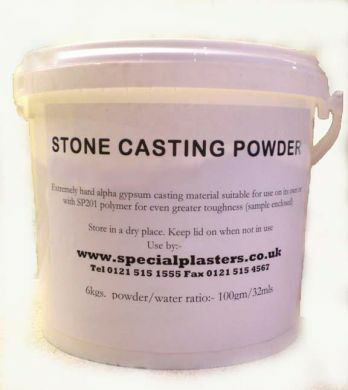 It comes with an free sample of our SP201 polymer, (subject to availability), for evaluation purposes which is well worth a try if you are not familiar with polymer/gypsum casting. This polymer can also be purchased separately. The colour of this product is slightly off white due to its high density but it can also be pigmented with our liquid pigments.